If you wish to add extra layer of password security to your personal laptop or pc in your absence then here we are.Today we brought you the best trick using which you could secure your Windows PC or laptop with USB Lock. Yes you are reading right,now you can use USB as a key just like we use normal keys to unlock anything.So for this process you need the USB drive to unlock the computer. Your access will continue till the USB drive is present connected to your personal computer or laptop. This will be automatically locked if the USB drive is disconnected from your personal computer or laptop. 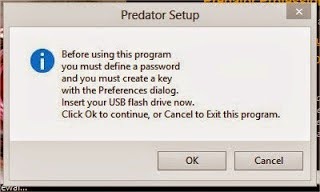 Such way you could add another layer of security into your computer.In order to secure your computer using USB lock, you need to have a software tool named“Predator” which is available on everywhere both in pro and free version as well. At first you need to download the software.After Downloading Predator. just Connect the USB Drive that you wish to use as key to your pc or laptop. Next you need to install it so just run the predator installation. Before continuing installation. you'll be able to see a popup,which will ask you to create the new password,So enter your desired password and after that press on OK to continue. Next the software predator will present you a box with Preference Settings. You can change settings as per your need and you could also add the USB drive by selecting the drive under Flash Drive settings and press on create key to generate a key on the USB that will be used by the predator to monitor. That's it,you're all done.When Predator is running on your computer you will be able to see the predator icon in the taskbar as shown in above picture. 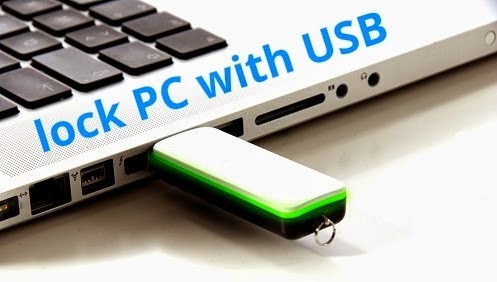 So hope you liked this easy tutorial to secure your windows pc using usb lock.If you do have any question regarding this let us know through your comments.Don't forget to like and share this article with your friends in various social networking sites like Facebook,Google plus,Twitter,Reddit etc.